So after a long 6 days of eating and drinking everything at Glastonbury, and an even longer 3 days at a work conference – which of course involved eating more biscuits than intended - it was time to start looking after my body again! In my hour of need, I was kindly sent the Boss To Go – a new high velocity blender by Sage Appliances, which uses a powerful 1000 watt motor and claims to blend up to 42% finer than the leading competitor… (bullet… cough). However, there’s no such thing as a free smoothie and so of course I had to work for it. whack it all in and blend for 40 seconds - it’s as simple as that. 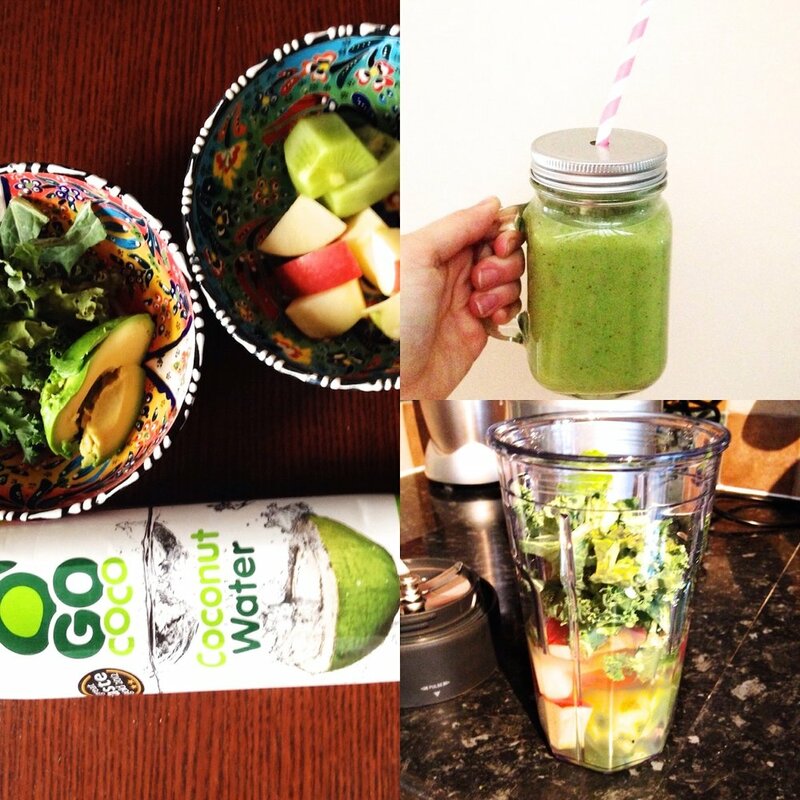 Confession… I’ve never put an avocado in a smoothie before, but I would definitely recommend it. Also the Go Coconut water was really nice, it had a taste of vanilla to it which suited the creaminess of the avocado! The appliance itself was really simple to use, I didn’t even need to read the instructions. In terms of the blending power, I have to admit that it seems on par with the Nutri Bullet, both are crazy fast and do an excellent job. However, where the Boss To Go takes the lead is on its cup and blade design. The Boss cup is more like a traditional beaker, in addition the cup has a sealed edge which means it is smoother to drink from, meaning that you don’t have to transfer it to another glass. The blades are large and are raised above the steel dome, which makes it easier to clean - especially when doing it by hand as you can get under the blade - something which is hard to do with the Bullet. Overall, I’m very impressed with this piece of kitchen kit and will continue to #blendlikeaboss. Ta da!